Physical Therapy Evaluation Medical history review and discussion. Comprehensive physical therapy examination, evaluation and education related to the diagnosis including prognosis, recommendations, referral to other providers if necessary and goal planning. Treatment may be initiated. Communication with other members of your health team will be made. Direct Access referrals (initiated by you) and physician referrals accepted. Duration 50 to 60 minutes. Physical Therapy Treatment Ongoing evidence based treatment including one to one supervision, program progression and coordination with your physician, personal trainer or other providers. Duration up to 50 minutes. ​Square Pay. Foley Physical Therapy has no relationship with any private insurer. A receipt will be printed with necessary (CPT and ICD10) codes for your submission to insurance or for HSA reimbursement. Traditional Medicare Enrollees Foley Physical Therapy has no relationship with Medicare. If you have traditional, government issued Medicare you should be aware Foley Physical Therapy may be referring you to an alternate physical therapy provider for your skilled physical therapy needs. Please let us discuss this in advance of your appointment. Total Knee, Total Hip and Spinal Stenosis prevention packages are available. Includes discussion of radiology results, completion of Outcomes Tools and referral to personal training or other complimentary providers. Have a surgery scheduled? Consider the P2P: Pre-Op to Post-Op Package which includes Home Safety Assessment; pre-op exercises to maximize recovery and post operative home and outpatient care with FPT (some restrictions may apply). ​Great for folks who must travel during surgical recovery or those who spend months out of state. Permits program progression, modification, consult or advice. An annual physical therapy screening with summary report to complement your physician's physical exam. A biometric assessment examining risk factors for heart disease, metabolic syndromes, kidney disease. 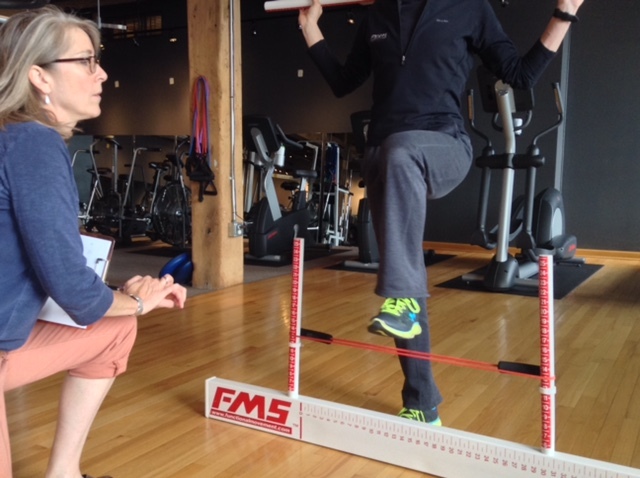 A Functional Movement Screen and predictive risks for injury.